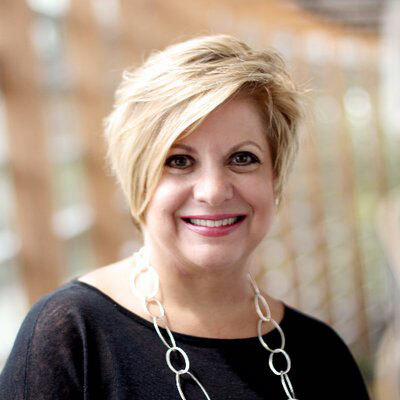 Diane Fanelli is senior vice president and GM of Global Channels and Platform GTM, heading SAP's ISV, VAR, and Startup businesses. Working closely with partners, Diane is building new SAP and partner sales channels and accelerating revenue growth by leveraging SAP's innovation platform, including: SAP Analytics, SAP HANA, and SAP Cloud Platform. With 24 years of IT experience with SAP along with a diverse background in go-to-market strategies, customer engagement, management, pre-sales, and industry market development in North America and Asia Pacific Japan, Diane has extensive knowledge of SAP applications, cloud, and technologies. In addition to her executive management role, Diane is an active mentor as well as executive sponsor of the SAP Veterans to Work program, established to alleviate the shortage of highly skilled talent in the technology industry. Last year I set a goal for my team - to disrupt our channel business, extend empathy to our partners, dramatically simplify our portfolio and processes, and set the tone for transformation in the digital era. I am extremely pleased and proud to say we have done just that - we have made huge strides in initiating change that will make it easier for our partners to do business with us. And we've gone further. Our digital (self-service) marketplace gives customers solutions they need, that can be bought, rather than having someone sell to them. We're also providing partners with a path to success, no matter where they are or where they want to be. Whether they're a seasoned ISV or Startup, or a customer expanding their business model, they can choose their path, their engagement model, and their growth - with one contract, one program, and one set of rules and processes. After speaking with the top three analyst firms, I believe our transformation has put SAP and our partners on a solid path to success in the digital era. I have three goals for our partner business this year: 1. Increase the number of net new partners in our business. 2. Increase engagement between partners and customers in our digital marketplace - SAP App Center. 3. Increase revenue growth for SAP and partners. I am proud to be a 2017 winner of the Stevie Award for Female Executive of the Year. I have always admired the perseverance and passion of Eleanor Roosevelt, but this year, and with everything going on in our politics - I want to give an impassioned shout out to all the women who are standing up and demanding change in the way women are treated, the way women are paid, the way women are hired and so much more. This is our time and I believe we stand on the shoulders of all those who have come before us, including my hero, Eleanor Roosevelt. Be curious, be strong, and commit to learning - don't let anyone else chart your journey. Most of all, be a disruptor for life - don't be afraid to make mistakes, change your mind, or go in another direction. You have one life and none of it should be lived in fear. Above all, remember that your self- confidence is the most attractive thing about you - don't neglect it or let anyone erode it. I would be a Data Scientist because this role is at the center of the convergence between data and technology and is immersed in the latest technologies, like AI, Blockchain, VR, and more. Understanding data and being able to "read the tea leaves" is so important to every aspect of our business. I like that this role helps companies make informed decisions for today and the future and I'm intrigued by the thought of how far this role can go in the future. Leonardo da Vinci by Walter Isaacson. I loved that da Vinci was such an amazing force for disruption in both art and science. Isaacson weaves into the narrative da vinci's skills, such as careful observation, curiosity, and an imagination as attributes we ourselves can put to use to disrupt our own day to day lives, work, and businesses. I'm trying to put these into practice every day as I work in the world of technology.